We are ready to serve your party needs! 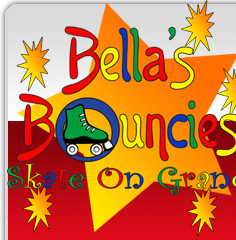 We offer fun skating parties for all of your family and friends! 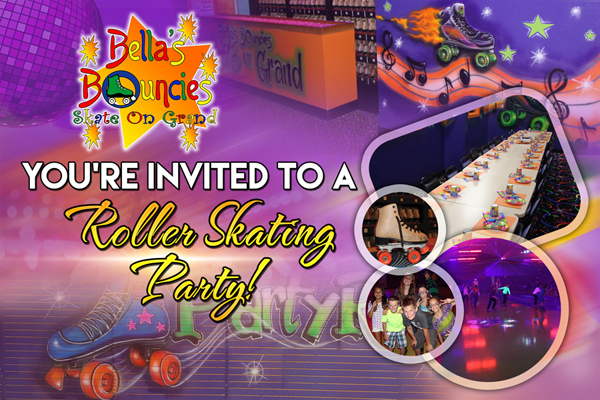 We have private parties, as well as, open skate parties available. We specialize in parties for Birthdays, Church Groups, Youth Groups, Clubs, and Organizations. Check availability by clicking on the flashing tab to the left. Visit our FAQ page for more party details. · Additional food options such as fries, mozzarella sticks, candy bars, chips, and other snacks. Bubble soccer is the HOTTEST game in town right now! Bubble Soccer is not really about the game of soccer so you don’t have to be a great soccer player to participate. It’s kind of like Bumper Cars where you don’t have to be a great driver to participate. It is more about bumping into each other and less about soccer. Bubble Soccer is not only great exercise, but also a hilarious way to have fun. People watching will have almost as much fun as the players. 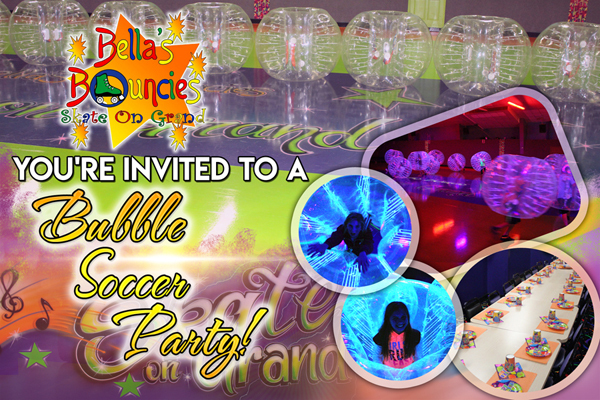 Be the talk of the town with a bubble soccer birthday party. We have great semi private birthday packages that you can choose from. 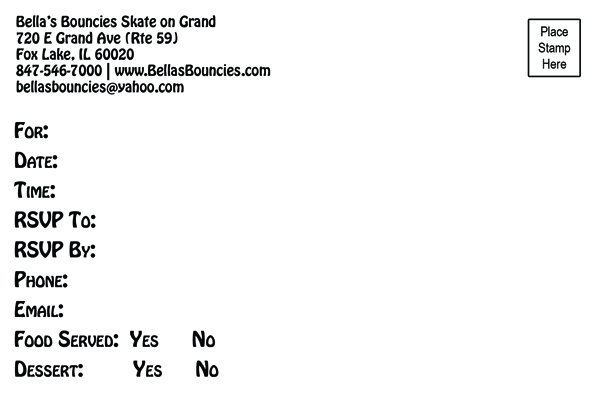 Visit our Bubble Soccer FAQ page for more details. 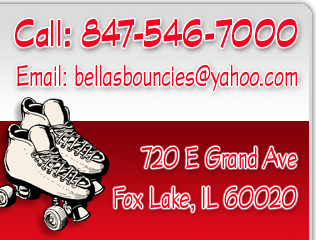 Please call 847-546-7000 for details on pricing for upgrades to your party package. · Customer must call 24 hours before party with final guest count and food order. · You may bring your own cake or cupcakes. If you do, you must supply the forks, plates and napkins for your dessert. No other outside food or drinks are permitted. Don't forget a serving knife, candles, and a lighter too! · Glow items can be purchased on site, or you can bring in your own. Download Invitations Here - Click Any Of The Links Below. All are 4x6 postcard size.